The Android Lollipop does have a lot of positives over all previous OS versions but still has not been able to make its mark as the preferred OS for Android users. There are some pesky issues yet to be resolved and the slow rollout of this OS across the various devices is not helping either. 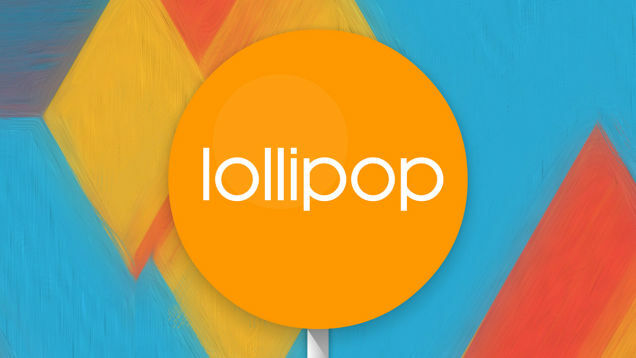 Consequently, Lollipop is now present in only a shade over 10% of the smart phones running Android and that is a disappointing percentage indeed. Management of memory – The issue is about sustaining processes that are on within active memory. The result is that you will experience apps that have been recently used still having to refresh and starting afresh, consuming battery as well as causing lag. Moreover, some of the streaming apps also close down and system-level items appear to be responding with a lag as well. The truth is that this phenomenon is occurring across devices. So even those that were running perfectly before the installation of Lollipop are stuttering and that indicates a problem with the OS only. This problem cannot be put down to any hardware malfunction and Google has to address it at the earliest. Lack of silent mode – The notification panel and system on the Lollipop is pretty good. However, it is a mystery how they left out the option of allowing the user to set his phone to silent mode when needed. In the earlier versions, all you had to do was reduce the volume or long-press power to set the device on silent mode. You also had a direct shortcut to activate it. But on the Lollipop, when you lower the volume, all you can achieve is the vibrate mode and there is no progress to the silent mode. The short cut to the power button too is absent. Now it is a longer process that is time consuming as well as confusing. You have to use the volume key to either raise or lower to access the “none” setting on the notifications panel. When you do this, you do get into silent mode but have to remember it will cut off even the alarms from ringing. The conventional silent mode setting did not have this anomaly. You can as an alternate option configure the “priority” notifications to enable alarms to ring but again, it is the process and the time to do all this that is an irritant. Not many would be aware of this work around either. Overcrowded overview – The intention to present or make available a lot of choices at one place for multitasking is a laudable one. But the Overview button in the Lollipop brings up cards that detail all the processes that have been used recently. It does not restrict to only apps and also includes Gmail for instance. All of these are represented by separate cards that crowd the screen due to heavy overlapping. There is a need to decongest this at the earliest. The above are just 3 of the things that need a quick fix to make the Lollipop experience a much more refined one.